Either way, that is my hair care regime. You will note it doesn’t include dying my hair, even though I drastically need to. You know whose hair care regime does include dying their hair? A preschooler at my daughters school. That is correct – a preschooler. 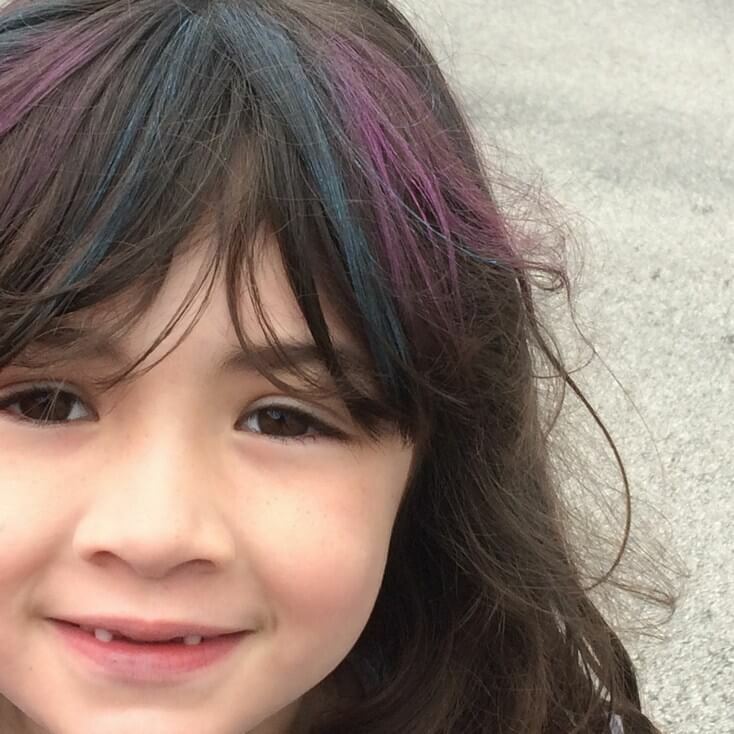 This four year old girl has her brown hair dyed blond. Cause you know, what four year old doesn’t want to have blond hair? 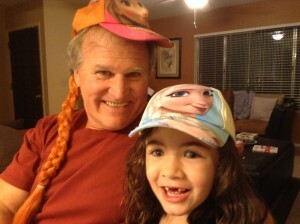 Averi is seven and she would love to have blond hair, just like Elsa. So I tell her to wear the hat with attached wig that she has and we move on with our day. And sometimes Grandpa gets in on it too. Or we go crazy and add some colorsÂ with hair chalk. We DO NOT use permanent dye. Lately though we have been getting fancy with Averis hair. Averi is purposely growing her hair long, also to be like Elsa. 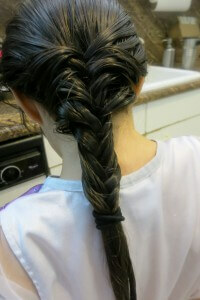 And recently she actually has been letting me braid it. This was my first attempt at a fishtail braid. I impressed myself. And Averi. This should hopefully keep her happy with her hair until at least second grade. You know what else keeps her happy? Dessert. Although, similar to our stances on Frozen and Elsa, we also feel differently about dessert. For me, chocolate. For Averi, grilled pineapple thrills her. So when I came home with a pineapple the other day, thinking I would up her lunch game (which isnâ€™t hard considering I seriously sent her with a blob of a peanut butter and a spoon on Monday), she immediately asked if it could be dessert. Being the awesome mom I am, I said yes. Grilled pineapple is very easy to make, once you have cut off the exterior. And even with just the grill pan, versus an actual grill, it still comes out great. Nice and tender, with a great caramelization to it from the brown sugar and butter mix. 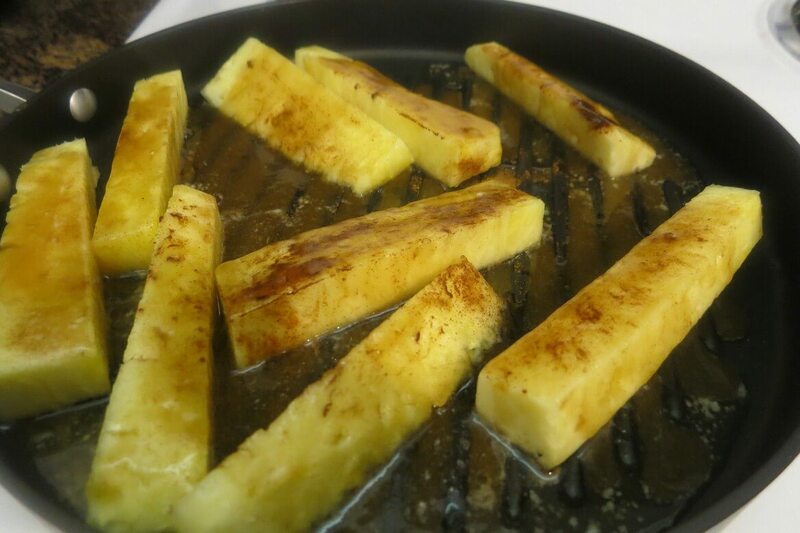 Lay pineapple on grill pan. Sprinkle with 1 tbsp cinnamon. Combine butter and brown sugar, mixing well. Stir in remaining tablespoon cinnamon. 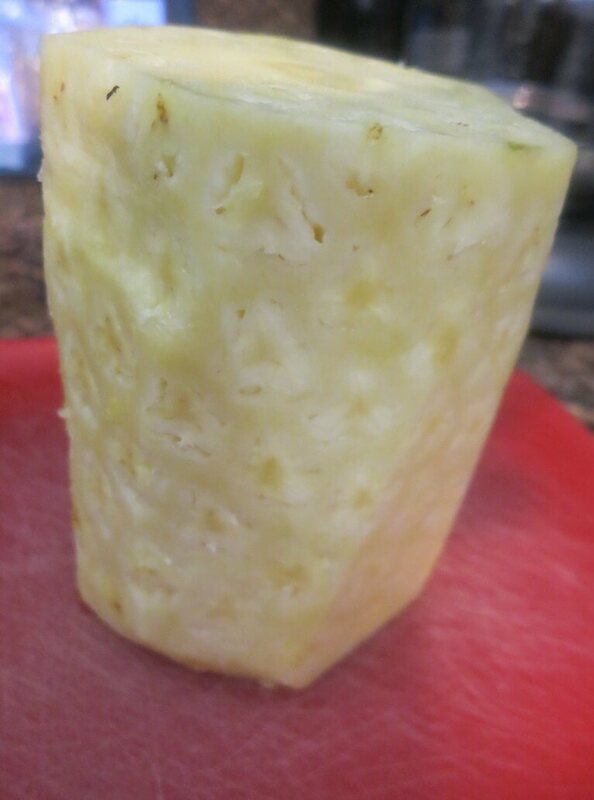 Pour over pineapple. 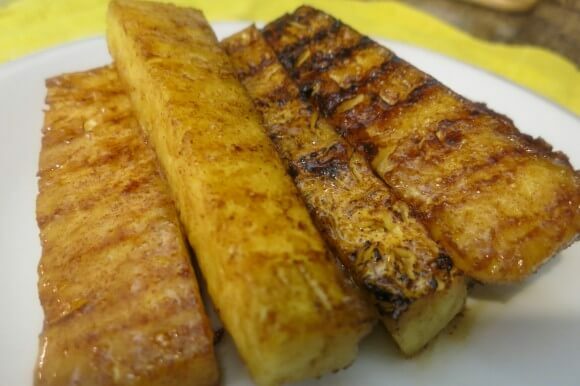 Grill for 2-3 minutes per side, till sauce has caramelized and pineapple is brown.